New South Wales, South Australia, Queensland and parts of Victoria are currently in the grips of a heatwave from hell with temperatures hitting the high 40’s. It is now officially the hottest summer in Sydney’s 158 year recorded history — with 10 summer days over 35C, according to BOM, Australia’s Bureau of Meteorology. Temperatures today soared to 44.5C in Penrith and other parts of Sydney’s west and as high as 47C at Ivanhoe Airport, in lower western NSW as people are warned to stay indoors or by the pool. The Bureau of Meteorology has reported the hottest February day on record at Sydney Airport today. It has broken the previous record of 42.6C, set on February 21, 1980. A state-wide fire ban has been declared for NSW with catastrophic conditions expected on Sunday in the state’s central west, across the tablelands to the Hunter region and out to the coast. 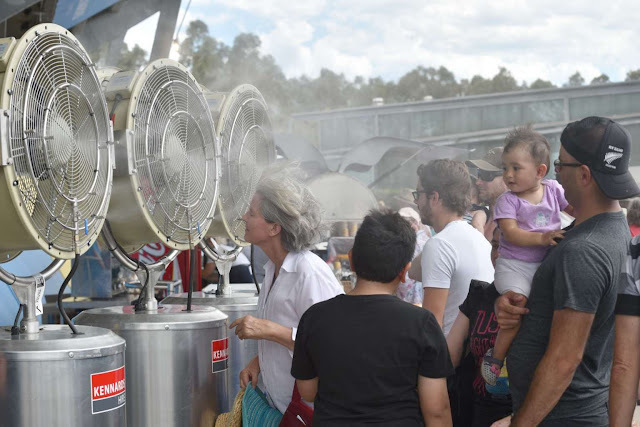 The Hunter region will receive the brunt of the extreme heat with Singleton and Cessnock topping the predicted temperatures with 46C on Saturday and 43C on Sunday. Western Sydney reached 44C on Friday with the city forecast for a cooler 38C. The western Riverina town of Hay reached 47C, reported news.com.au.